Was food poisoning the cause of your holiday illness? Did Salmonella, E coli, Campylobacter cause diarrhoea and stomach cramps? Ill on holiday in Gran Canaria – Travel lawyer needed? First Choice, Thomas Cook or Thomson Holiday Complaint? Claim compensation for your Gran Canaria holiday illness? UK tour operators such as Thomas Cook, Thomson and First Choice should ensure that your holiday hotel is clean and that the food served is fit for human consumption. Food should be prepared and cooked properly to avoid the risk of holidaymakers suffering illness at their hotel. Harmful bacteria which causes diarrhoea, stomach cramps, headaches and fever should not be present in the food served. The swimming pool water at your holiday abroad should be crystal clear and adequately treated with chlorine. Importantly, the filter should be working adequately to remove parasites such as the Cryptosporidium holiday bug from the water. Unhygienic conditions should not exist at your hotel otherwise dysentery is likely to spread causing holidaymakers to suffer gastroenteritis. Travellers' who enjoy local food and drink as part of their holiday experience will not be disappointed in Gran Canaria. There are some fantastic hotels and restaurants on the island serving excellent and varied cuisine. You can choose from 5 star hotels with a selection of buffet and themed restaurants which served traditional Spanish food and the British favourite, Fish and Chips! All Gran Canarian restaurants should offer a 'menu del dia' or daily special. This is normally a three course meal, and includes wine, at a reasonable set price. Warning - when eating outside your hotel always chose a restaurant that is full of local people eating as this is a good indication of good quality food. Remember if you suffer Food Poisoning in Gran Canaria and you have eaten outside your hotel, your tour operator will inevitable argue that it is not responsible for your holiday illness. Gran Canaria was once the most popular tourist destination in the Canary Islands and is often called Las Palmas after its main city which has the largest population of all the islands – 370,000. It used to be the island's most fashionable resort too, and is still popular, but those days most British tours head straight for Gran Canaria's southern resorts of Playa del Ingles, Maspalomas and Puerto Rico. Gran Canaria is the classic volcanic cone in profile and its mountainous regions cause significant climatic change with latitude and longitude. The island is known as the 'continent in miniature'. The coastline ranges from dramatic cliff faces to golden sandy dunes. Inland you can choose between the glaring mountain (Pico de las Nieve) and one of the island's tranquil valleys which flows from it. In winter it is possible to see snow on the mountain whilst basking on a sand dune on one of Gran Canaria's southern beaches. Never assume that the food served on all-inclusive buffets is safe, as it may have been contaminated during preparation. Holidaymakers are advised to use common sense and consume only recently prepared food that is cooked thoroughly and served piping hot. The most common cause of Salmonella Food Poisoning on holiday occurs because holidaymakers inadvertently consume pink chicken and runny eggs. To avoid Salmonella or any other holiday illness hands should always be washed after visiting the toilet, especially before preparing or eating food. If you suffer from a holiday illness in Gran Canaria then Playa del Ingles, Maspalomas and Puerto Rico have a number of medical clinics, available to holidaymakers. The sign "Centro de Salud" identifies public medical centres, while the private clinics display their services in the main tourist areas. The local chemists (Farmaicias) are recognisable from their large green cross sign and there will be one open at all hours in the main tourist areas. Visitors to the south of the island are advised to contact the British Medical Centre in Puerto Rico (+34 928 560 016). The clinic provides medical treatment for those suffering food poisoning on holiday and claims to provide translations of any tests that have been taken at a Spanish speaking clinic or hospital. The island has two public hospitals in the island's capital city, Las Palmas, the Hospital Insular on the Avenida Maritine del Sur and the newer Hospital Doctor Negrin, near Canteras Beach. The healthcare service in Gran Canaria is of an excellent standard. Holidaymakers coming from the UK have the right to free medical care provided you pick up your EHIC card from the Post Office before you travel. This will ensure that you are covered for free healthcare during your stay in Gran Canaria - it is also advisable to take out travel insurance. Whilst the majority of holidays to Gran Canaria are memorable, inevitably some holidays are ruined by food poisoning caused by holiday bugs such as Campylobacter, Salmonella or Cryptosporidiosis. Food Poisoning and the waterborne infection Cryptosporidium are the most common causes of gastric illness amongst UK travellers returning from Gran Canaria. Typical food borne infections caused by E. Coli, Salmonella, and Campylobacter are also regularly suffered by guests staying at hotels in Gran Canaria. Simpson Millar LLP Solicitors offers a 'No Win No Fee' holiday illness claims service for those unfortunate victims of Food Poisoning or illnesses caused by dirty swimming pools or contaminated water. As specialist Holiday Illness claims lawyers we pursue claims for those holidaymakers who suffer Food Poisoning or other gastric illnesses in Gran Canaria. 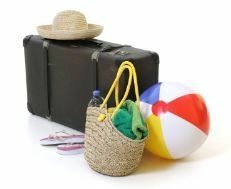 Those holidaymakers on package tours with tour operators such as First Choice – Cosmos- Airtours – Thomas Cook and Thomson can contact our Gran Canaria Holiday Claims Lawyers for free advice. Our Holiday Travel Lawyers closely monitor hotels in Gran Canaria for outbreaks of illness on popular travel websites including Holiday Watchdog, TripAdvisor, and Holiday Truths etc. If your holiday to Gran Canaria was marred by sickness and you would like to know more about instructing our 'No Win No Fee' holiday claims lawyers then call a member of our team and we will help you claim the compensation for your ruined holiday.